Shameful confession time, I am something of a lazy cook. 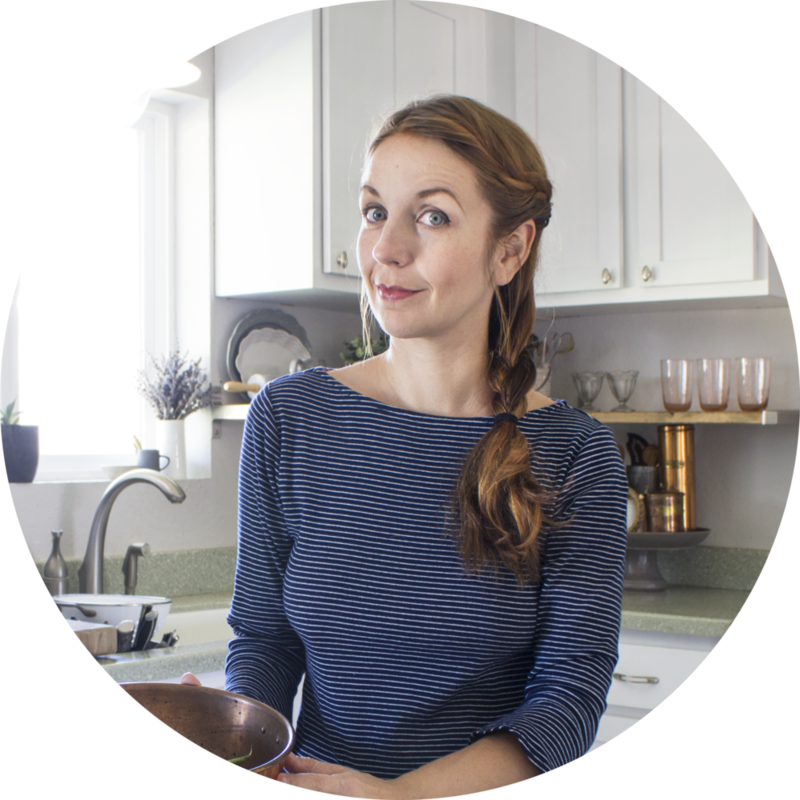 I mean, I prefer the term "mindful minimalist," but really it just means I'm a path-of-least-resistance girl in the kitchen, at least 99% of the time. The other 1%, I want everything to be as complicated as possible! Christmas baking is a time to let that 1% feeling really shine, breaking out the fussy recipes (and wild new experiments) that I ordinarily can't be bothered with the rest of the year. 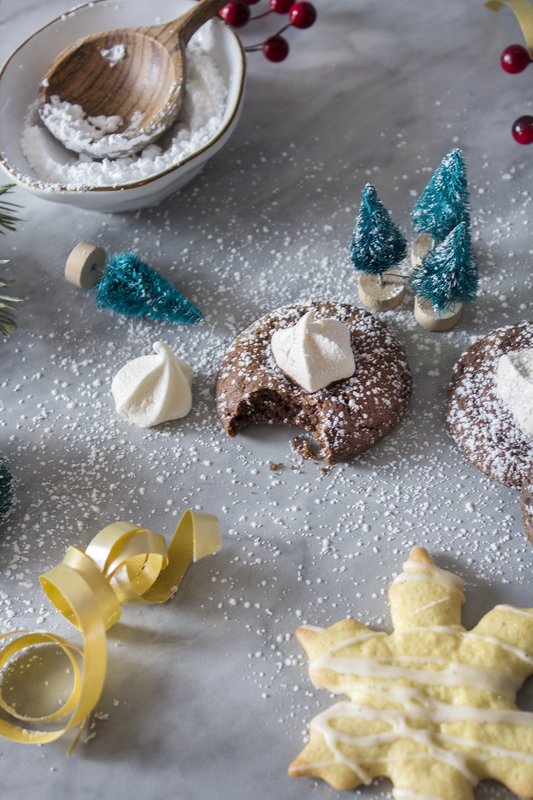 Individually piping fifty meringue kisses as sweet toppers for a hot cocoa-inspired cookie? 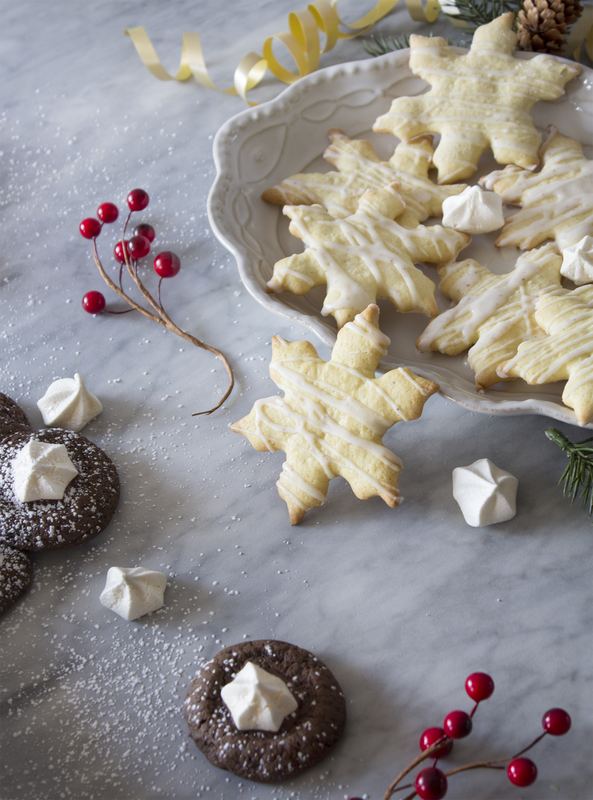 Delicate, wafer-thin sugar cookies in impossible snowflake shapes? I'm ALL IN, baby. Let's get baking! It's fun to have a young child (turning two in a week! How is this possible?) this time of year, because I'm super-conscious of the fact that we're shaping his view of the holiday season for the rest of his life with the way we celebrate in these formative years. How we make the magic happen--the songs & movies we indulge in, the carefully chosen gifts, the special Christmas baking, the brightly colored paper, the tree and lights--is all up to us, and we can choose to make up all our own family traditions from scratch if we feel like it. To Santa or not to Santa? Find opportunities to donate toys or food? Presents on Christmas Eve, morning, or both? It's a truly awesome thing, in every sense of that word. I want to think we're creating a cozy holiday glow that he'll remember for the rest of his life. I think we're starting from a good place by focusing on cookies. Two-year-olds are kind of obsessed with cookies. I call these fussy recipes but really, they're just basic cookies with a little extra effort (no crazy heroics like handmade laminated dough, complicated fillings or multiple layers required). Like any good cookie dough, these could benefit from resting in the fridge overnight to develop the flavors, but if you're making these day-of in a panic because you need something for the cookie swap or last minute gift you forgot (ALWAYS ME), just a quick chill for an hour will do fine. Readers with sharp eyes may notice that one of these recipes calls for two egg yolks, and one calls for two egg whites...I like to pair up recipes with separated eggs like these, so what's left over from one gets used up in the other. Happy baking! In bowl of stand mixer, cream the butter and sugar together until light and fluffy with paddle attachment (you can also mix this by hand). Beat in yolks, 1 tablespoon of milk (save the rest), and bourbon or rum. In a separate bowl, combine flour, salt, baking soda and nutmeg. Slowly add dry mixture to wet, mix until everything is worked together. Gather into ball and place on a sheet of plastic wrap. Flatten dough into a disc and wrap tightly, refrigerate for 1 - 24 hours. Remove dough from fridge and preheat oven to 375. Line baking sheets with parchment paper or silicone baking mats. Roll out dough to 1/8", cut out snowflake (or any shape you like) shapes, arrange on baking sheets. Bake for 8 minutes, or until edges are just turning golden. Remove and let cool thoroughly. To make the glaze, add milk slowly to confectioner's sugar, stirring constantly. Taste and add nutmeg. Drizzle glaze over cooled cookies, allow to harden, then store cookies in an airtight container. In my mind, I was picturing the little meringue kisses perched on top of each cookie like a marshmallow bobbing in a cup of hot cocoa (but a little bit sturdier, with that nice shattering sugar effect you get from a crisp meringue). 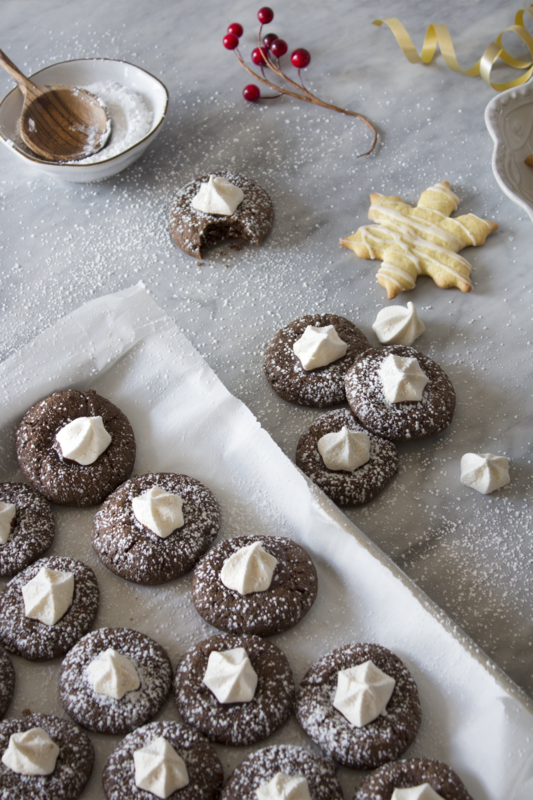 These cookies definitely do not disappoint--it's cocoa in cookie form all the way! Preheat oven to 200, line baking sheet with parchment paper or silicone baking mat. Beat egg whites until foamy. Add sugar and cream of tartar, beat until mixture is glossy and holds a stiff peak. 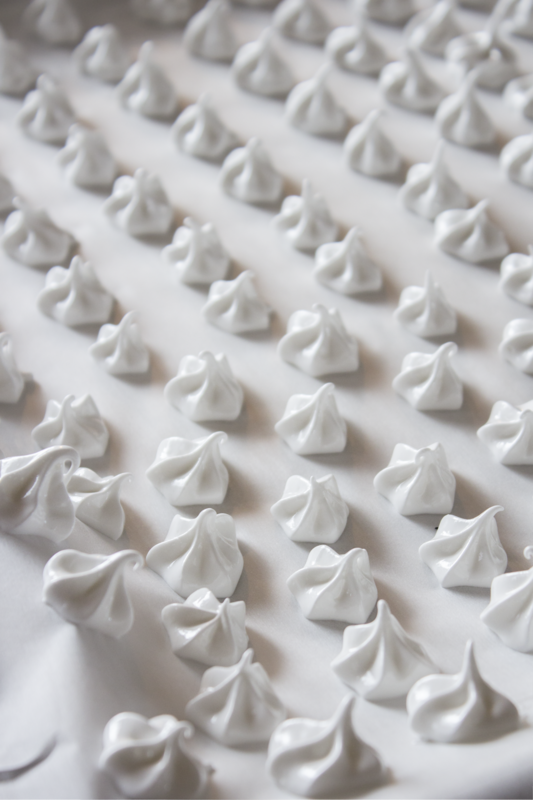 Spoon into piping bag fitted with a star tip, pipe dime-sized meringue kisses onto baking sheet in neat rows. Bake at 200 for 25 minutes, then turn off oven and leave meringues in another 15 minutes. Remove and let cool. In bowl of stand mixer, cream the butter and sugars together until light and fluffy with paddle attachment (you can also mix this by hand). Beat in eggs and vanilla. In a separate bowl, combine flour, cocoa powder, salt and baking soda. Slowly add dry mixture to wet, mix until everything is worked together. Gather into ball and wrap tightly in plastic; refrigerate for 1 - 24 hours. Preheat oven to 350, line baking sheets with parchment paper or silicone baking mats. Drop about a tablespoonful at a time onto baking sheet to form cookies, bake for 8-10 minutes until cookies have puffed up and are slightly browning around edges. Remove and press down with thumb in the middle of each while cookies are still warm to create a hollow, let cool all the way. Melt the dark chocolate in a microwave-proof bowl or over a double boiler, stirring until completely smooth. 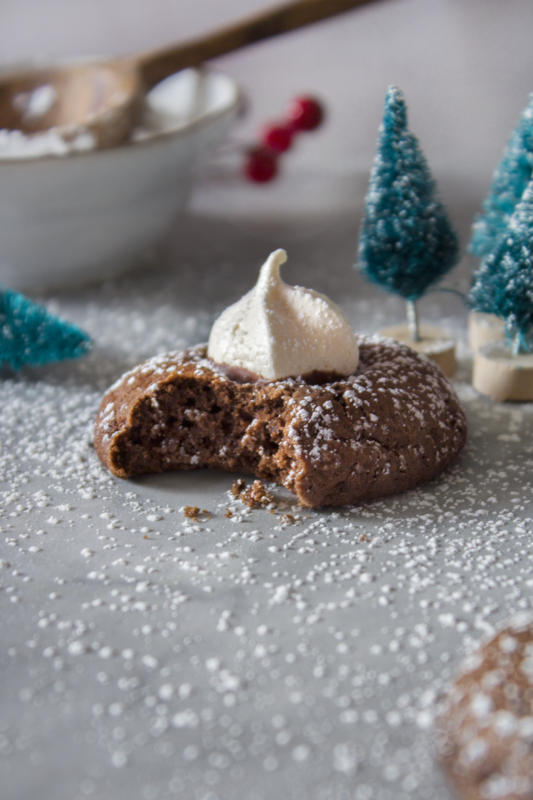 Spoon a dollop of melted chocolate into the hollow of each cookie, top with a meringue kiss, let cool completely. Dust lightly with powdered sugar, then store in an airtight container.